It is not straightforward to reach the canyon. It almost gives the impression that it has deliberately hidden itself away to discourage intruders. The Bijela Valley is one of several lateral valleys down the Penj towards Neretva, crossed now and then by some anonymous road. It is only once you venture into the valley that you become aware of its treasures. Before reaching the main path, you need to go up the desert like river bed. At this point it is easy to get lost amongst the shrubs and vegetation, and you shouldn't underestimate the extra challenge of the hot Herzegovina sun which beats down. Once you get over this first difficult stage, though, the Prenj soon starts to reward your hard work. From the M17 Sarajevo-Mostar road, going in the direction of Sarajevo, turn right just after the bridge over the River Bijela and leave the asphalt road. There is a junction immediately after, turning off where you take the road on the right which follows along the river. Go on by car along a rough road until reaching a reservoir and continue as far as the road allows you to. On leaving the car you follow the Bijela river bed along a path and ignore the signs on the right for the village of Grabovicici. After about an hour the path becomes clearer and starts entering a wood, it is better marked here. Follow the path until crossing a stream with the remains of a makeshift bridge. Going up this stream for about 200m you see the canyon's exit which you can go up without difficulty as far as the underground waterfall and its pool. A torch is useful, as light is scarce. Going on past the stream you reach the remains of a hunters' hide. A path, not very well signed, leaves from behind this hide for the Prenj. At a certain point you leave the path and descend into the canyon. 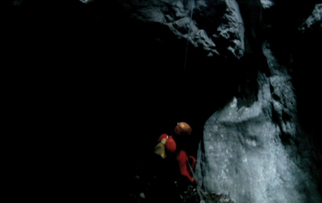 The descent into the canyon requires two descents abseiling, the second being in the dark and having a tricky crossing under the waterfall. For this type of excursion it is necessary to contact an expert guide if you have no previous mountaineering experience. ...lasting friendships, particularly with the animals living in the area. In particular, on descending into the canyon, it is easy to come across poisonous Adders resting near the River Bijela. By paying attention and keeping a wide berth you can easily avoid incidents. You venture into a wood of hornbeam trees along a shady and well marked path going gently uphill. The walk is extremely pleasant, and not lacking interest, for example fascinating rock formations around a hundred metres long which form a natural vault over the path and whence an ideal improvised shelter. Once past this natural vault you see traces here and there of old dwellings almost swallowed up by the forest, until you get to the remains of an old cemetery from the 1950s where some of the inhabitants of these places are buried. The area is completely uninhabited, but the ruins and the tiny cemetery give it an almost mystic feeling... It is almost impossible to imagine the lives of people in such a secluded place, away from civilisation, but this is one of the recurring characteristics of the Balkans. The further you venture into the Prenj the further civilisation is left behind, and the mountain wilderness takes over as it retrieves what civilisation has tried to take from it. The small bridge over the Bijela is by now almost non existent, so it is necessary to ford the river before reaching an opening which is distinguished by a burnt out hunter's hide. This is the point from where you descend into the canyon, and you put on all required equipment for the descent. Wet suits, harnesses, helmets, ropes and off along the path which is only just visible and continues to venture into the Prenj. A trained eye is needed to understand where exactly you need to leave the path in order to descend into the canyon. Once you leave the tracks you start the descent, the way down is extremely steep and you need to watch out for surprises such as Adders on the river bed. On reaching the mouth of the Canyon, the Bijela suddenly drops down by several metres. You descend into the canyon by abseiling down, balanced between a pair of overhanging rocks. You soon forget the thick Herzegovina forest you've left behind. We are now at the bottom of the opening, two sheer rocks compromise our line of vision and light is scarce. The rock faces which have been carved out by the waters form fascinating shapes. The canyon is wider at the bottom and narrower at the top... The sky is reduced to a thin streak of bright light which is blotted out here and there by some rocks stuck between the sheer faces. The Bijela, which is at times fierce and at others almost dry, flows into thousands of streams. The environment is surreal, it widens out between fallen rocks and following the river the canyon widens out just enough to allow enough light to pass for plants to grow. This is just the start to an even more dramatic final stage. You now have the sensation of going on a “journey to the centre of the earth”. All of a sudden the canyon gets narrower and disappears down in front of you, with a drop of around 15m, literally a jump into the dark seeing as the rock faces are so close that the light is unable to filter through. At this point the Bijela, apart from when it is particularly dry, forms a waterfall. Here you need to abseil down again right next to the waterfall. Only the first part of this descent is easy as the pool under the waterfall is very deep. At a certain point you need to swing on the rope through the falling waters in order to cross the waterfall. The descent finishes here on the opposite side of where you began. At this stage the canyon is slightly wider, mainly because of the pool under the waterfall, and the water currents together with the air and lack of light result in a drop in temperature. When the sun is just above you it creates amazing tricks of light on the canyon's rock faces. After the waterfall and pool, the gorge narrows. At some points you are able to touch both rock faces at an arms' stretch. Here the canyon is extremely deep and it is difficult to catch sight of the sky. You go on into the dark although the way through is easy without any particular difficulties. There is not far to go: the two rock walls widen out, light floods back in and soon you are out of the canyon enjoying the warmth of the rock and the refreshing Bijela waters. You see the Canyon vanishing behind from where you've come, and then you proceed along the Bijela. After about 200m you find yourself back where you started at the remains of the bridge and burnt out hunter's hide. Here we are, having returned safe and sound from our “journey to the centre of the earth”.